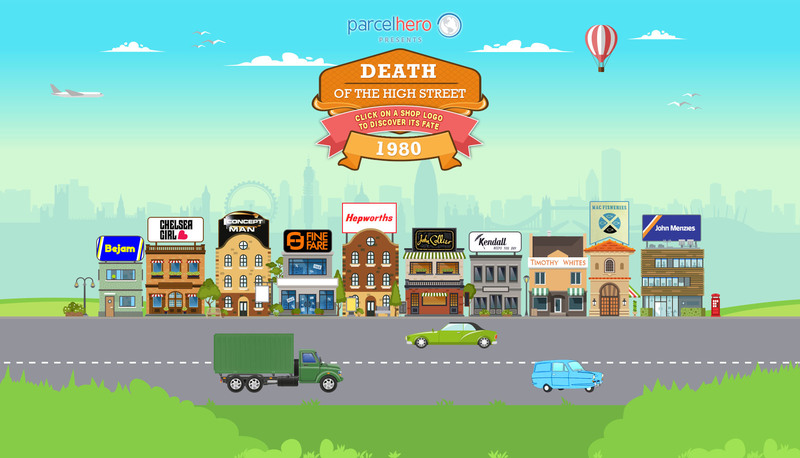 Swipe to travel down our High Street timeline, charting the demise of many once famous High Street brands. For a full interactive experience please view on tablet or laptop/PC. Frozen food store bought out by rivals Iceland: who gave the brand the cold shoulder. Lewis Separates wisely decided it needed a cooler name, and decided on Chelsea Girl - Chelsea being part of swinging London. On merger with sister company Concept Man it was renamed River Island. Lewis Separates chose a decidedly 1980's name for its men's fashion range. Cropped T-shirts, stretch stone wash jeans, Miami Vice-inspired fashion, and denim jackets made Concept Man as '80s as a Filofax. One of the earliest supermarket chains that pioneered own label and organic foods. Bought by Gateway in 1986 who closed the gates on the brand. 'You're never far from a Hepworth's Branch' said their ads - but you have been very far from one since 1982, when the gent's clothes chain was amalgamated into Next, as the High Street became fashion conscious. 'The window to watch': The Fifty Shilling Tailor brand had a much needed modernisation to become John Collier in 1958. Famous for its 1960's Saturday night suits, the window to watch was boarded up when Burtons took over in 1985. Ladies wear company most famous for its huge selection of rainwear (well, this is Britain). Merged with Hepworths menswear to form Next. An odd combination of fishmonger and supermarket that failed to swim with the tide; in 1980 the MacFood centres became part of International and the fish shops closed. John Menzies plc operated a large chain of high street newsagents, particularly in Scotland. It sold its stores operation to W H Smiths in 1988, to concentrate on its distribution and aviation businesses, where it's still a big player. Formerly a chemists and houseware chain, it was taken over by Boots in 1968. Boot's promptly gave the boot to the chemist's side of the business, and Timothy Whites remained a lacklustre housewares chain until final closure in 1985. British art store chain famous for its Hobbit prints and that tennis girl poster. 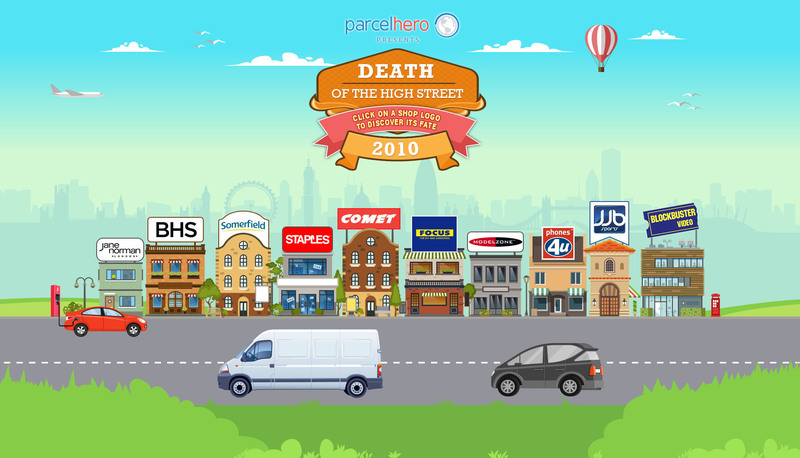 The rise of e-commerce stores such as All posters.com killed this high street market. Brentford Nylons - born in ParcelHero's home town; and infamous for sweaty and electrostatically charged nylon sheets. Long-lived shoe chain bought to heel by the rise of low cost imports. Supermarket pioneer swallowed up by Gateway. A once famous name whose furniture sturdily stood for everything that was not flat pack. It failed to adapt to the rise of Ikea and e-commerce. The listening bank didn't hear the warnings about the rise of global banking. It became part of HSBC. Jewellery chain that succumbed to the twin threats of online competition and its founder declaring some products were simply 'total crap'. Originally a store where you could rent your telly, it became an electronics and white goods store once it realised everyone could finally afford a TV. The rise of out of town electronic stores such as Curry's pulled the plug on the business. One of the biggest sports retailers in Britain during the 1990s, which also took over Olympus Sports. It lost the sports retail race in 1998, when it was sold to its main competitor, JJB Sports, for approximately £295m. US company opened its first UK store in 1973. It was a great place to buy your 5-pin dins and graphic equalisers; but sold to Carphone Warehouse in 1999. There is a now reincarnated Tandy UK webstore for lovers of vinyl and Dolby. Books were the original target for Amazon, and the first high street market to collapse. Borders reached their final chapter in 2009. 'Coats & 'Ats' suffered from a lack of image and the growth of e-commerce that even the oh so suave 'man at C&A' couldn't save. Still exists overseas. Formerly a style leader, Etam's UK clothes stores were bought by Sir Philip Green's Arcadia Group in 2005, who closed the brand. It returned to the UK as an online store in 2011. Etam also owned Tammy Girl - every pre-teen lass' favourite store. Once the king of kitchens and flat-pack furniture - not to mention everlasting sales where there was always 'only 4 days to go!' - MFI fell victim to the Swedish style of Ikea and the 2008 collapse. Brand now owned by VictoriaPlumb. A pioneering music store, the music stopped when it became part of the WH Smiths/Virgin Group and finally disappeared in 2004, having failed to battle the rise of music streaming. Women's (and Principals for Men) fashion chain launched in the 80's era of power dressing. Following collapse, the brand was bought by Debenhams and continues in-store today as Principles By Ben de Lisi. But without the shoulder pads. 'Should have gone to Radio Rentals': TV, radio and video hire company born in the era of valves, wooden black n' white tellies that cost a year's wages, and radiograms. Unsurprisingly business collapsed with the arrival of cheap electronic goods and it merged with Granada Rentals - well, would you rent your iPad? 'Everything you want from a store and a little bit more' turned out to be not enough. The fourth largest UK chain failed to differentiate its offer and was bought by Morrisons. Formerly a building society, the Woolwich demutualised in 1997 and was bought by Barclays for £5.4bn; with high street premises becoming Barclays. The name lives on in the bank's mortgages, so Barclay's can truly say: 'We're with the Woolwich'. The much-loved high street retailer, familiarly known as 'Woollies' and famous for its pick n'mix sweets, fell victim to the decline in physical copies of music and the rise of the internet. It's 807 stores closed in January 2009 and the brand now owned by Very.co.uk/Shop Direct. Upmarket clothing chain that had its suit ruffled by the growth of Amazon, etc. Branded items still available at House of Fraser. Once a staple of the High Street, Staples UK has been bought by Hilco Capital from its US owners, and the brand will disappear in the UK by summer 2017. Department store that met its demise in the face of competition of e-commerce and questionable management. A web site, BHS.com, has already risen from the ashes; owned by the Qatari Al Mana Group. Video hire stores suddenly seemed less useful than a chocolate tea pot with the arrival of new media streaming technology..
Electrical goods store Comet crashed to Earth when people wised up to its hard-selling of expensive extended guarantees. Once the second largest UK DIY chain, it lost its focus and fell victim to the decline in DIY. Jane Norman, Morgan and Kookai provided everything you needed to look the part at a club in the 90s, even if you weren't actually old enough to get in. But by 2014 the rather plainer Jane succumbed to the rise of e-commerce. Brand now owned by Edinburgh Woollen Mill. Once enormously successful, JJB Sports overinvested by the 2008 crash and had no clear offering compared to other sports retailers. Brand now owned by Sports Direct. A once large chain of model shops that sold everything a 9-year old boy - or the secret 9-year old in every chap - could desire. Modelzone succumbed to Amazon's dominance of the toy and hobby markets, brand now owned by WH Smiths. Mobile phone retailer that's no longer 4 us, after collapsing amidst unproven accusations of collusion between mobile phone operators. The well-known supermarket chain was taken over by The Co-operative Group on 2 March 2009 in a £1.57 billion deal, and the last of the Somerfield's wine, and other produce, was sold by summer 2011. There was a net rise in the number of nail salons of 103 in 2013 and there are many more opening every month. It's hard to envisage the internet giving you a haircut or polishing your nails. 3D printers will be common in homes; but for larger items a High Street printers can take care of producing everything from plastic car bumpers to fencing. Expect to see at least 2 on every High Street. 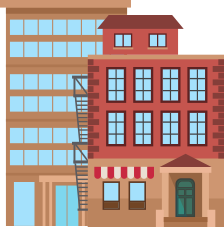 There will be many more houses cheek to cheek with shops in town centres by 2030: bringing life back to town centres in the evening. 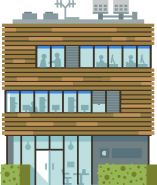 A quarter of existing retail buildings could be your home by 2030. There are now more nail salons on British high streets than Chinese restaurants. Beauty parlours are of the few growing sectors and could account for 1 in 10 shops by 2030. As residents return to High Streets to live, the convenience store will supply people's needs beyond the weekly online grocery shop. New peak hours will be around 6-7pm, as people return home to the High Street; rather than 1-2pm as at present. 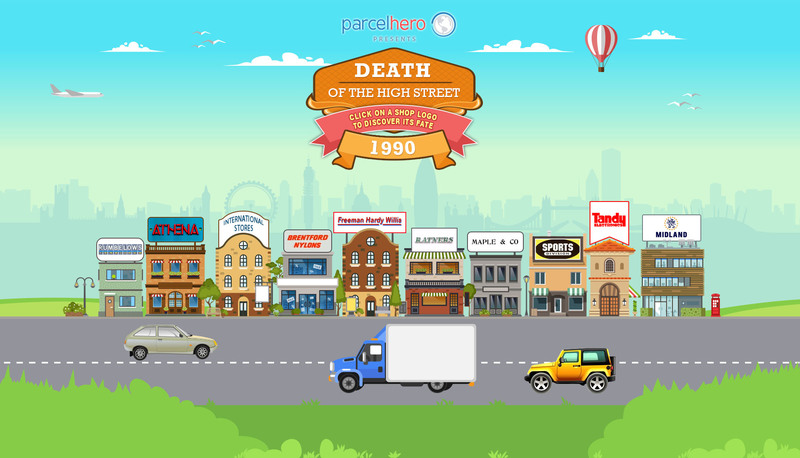 113 new stores opened in 2013 alone as food outlets devour the High Street. Expect 1,500 more by 2030. 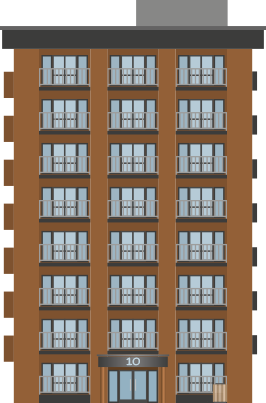 If London's 600 high streets and towncentres took an additional 500 homes each, this would deliver more than 7 years' housing supply. There's no place like home: even if it was once a toyshop. It's an ill wind that blows no one any good. As retailers close shops they become available short term for charities There was a 30% increase in charity shops in major centres in 2013... 1 in 6 stores could be charity shops by 2030. Fourteen years ago few could have seen the rise of Korean, Vietnamese or Polish restaurants. Who can predict the next food fad? With residents returning to town centres more cafes and restaurants will be needed. 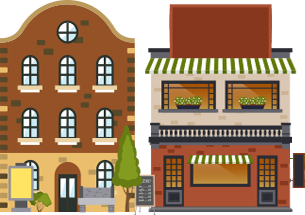 A net 62 new coffee shops opened in 2013 alone and there will be well over 1,000 more by 2030. There's no place like home: even if it was once a toyshop. 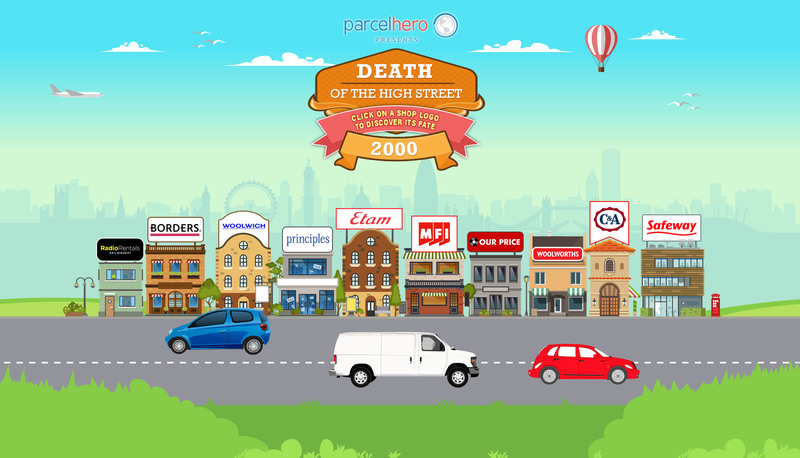 Internet shopping may have killed the High Street; but there will need to be the convenience of pick up and drop off points. Ironically these draw people into local stores. 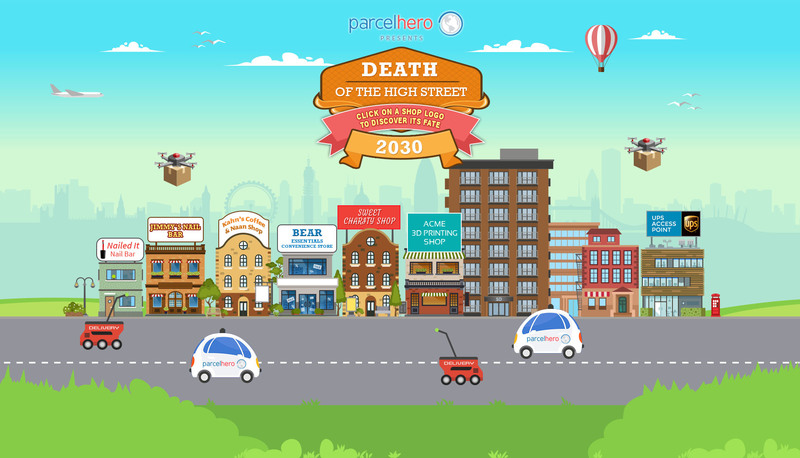 Home deliveries and convenient drop offs will account for at least 40% of all retail by 2030.